Revamp Your Wardrobe with Luxe Local Fashions: March 23 Sample Sale! Ready to reward yourself for spring cleaning? Replenish your wardrobe with stylish, locally sourced pieces? Skip the mindless online clicking and opt for a more hands-on approach right here in the City by the Bay. 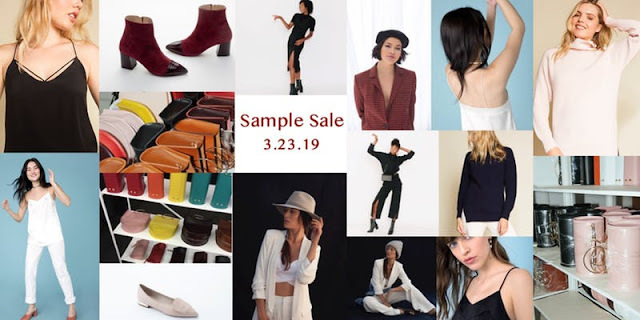 Check out the upcoming Local Luxe Fashion Sample Sale hosted by five San Francisco-based retailers on March 23rd. Join five Bay Area brands representing quintessential California chic for a one-day sample sale offering up to 60% off regularly priced items. Upgrade your look with luxury Italian footwear, silk and cashmere staples, handcrafted leather handbags, versatile eco-chic essentials and timeless, statement-making accessories. Plus, don’t miss an exclusive meet and greet with the founders and designers behind each brand.